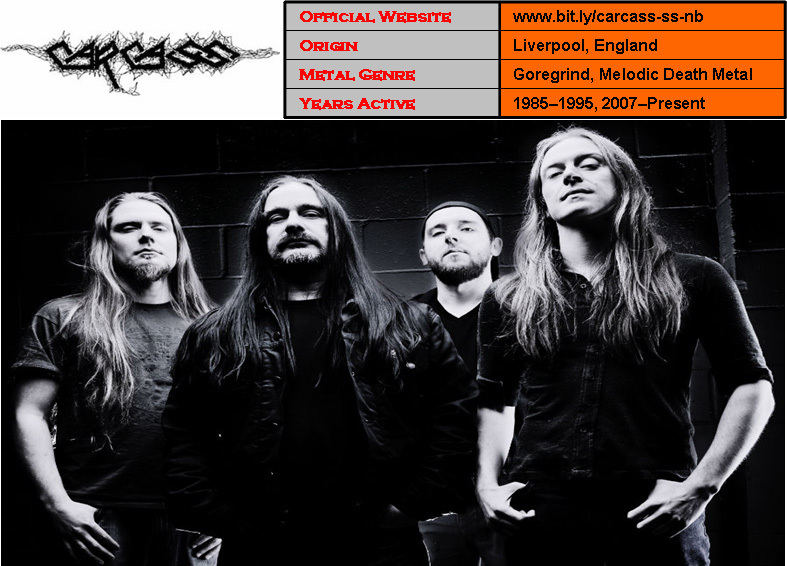 Carcass are a British extreme metal band from Liverpool, who formed in 1985 and disbanded in 1995. A reformation was enacted in 2007 without one of its original members, drummer Ken Owen, due to health reasons. Carcass are regarded as pioneers of the grindcore genre. 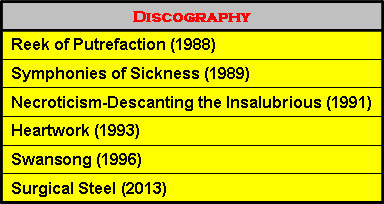 Their early work was also tagged as splatter death metal, hardgore and goregrind; on account of their morbid lyrics and gruesome album covers. They also became one of the pioneers of melodic death metal with their 1993 album Heartwork.